Owning a dog and a cat at the same time presents a whole slew of problems. While most problems are behavioral, some are simple, everyday problems. Perhaps the greatest everyday problem is separating dog food from cat food, and ensuring that the right animal gets the right food. Since dogs tend to be more territorial, however, cats should stay away from their food. Most dogs, on the other hand, would love to get their paws on some cat food. Pet owners stuck in this classic scenario should invest in a dog proof feeding station like the Feed-Safe Feeding Station. There is also furniture sations like the ones you can find here. Before investing in a whole specialized station though, be sure to check out other options. If the cat likes to roam around outside and the dog does not, then try keeping the cat’s food and water bowl right outside the car door (or someplace freely available and easily monitored). Alternatively, build a skunk and raccoon proof outdoor feeding station. Just be careful to bring the food in each night, as other animals love to eat whatever they can find. If the dog cannot jump as high as the cat, then try placing the cat’s food and water bowl somewhere high. A little problem solving can save both time and money. However, if the situation cannot be problem solved, then try looking into dog proof cat feeding stations. They are a bit pricey though, at around two hundred dollars when purchased new. 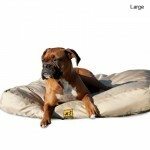 They are designed like little chests that have just enough room to allow cats to squeeze through at the top. Woodworkers and backyard handymen would save a lot of money by making their own, as most dog proof cat feeding stations come as unassembled kits. 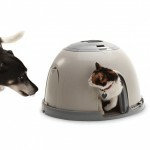 For those set on purchasing a dog proof cat feeding station, be sure to do some local and online shopping. Call local stores to see what they have in stock, and compare prices. Also, look up models online for reviews and prices of additional models. Finally, try looking for a used dog proof cat feeding station, as even feeding stations in good condition can be purchased at only a fraction of the cost of one that is brand new. When shopping for a model be sure to look for a feeding station that is sturdy and provides enough room for the cat to sit, eat, and drink in. Un-sturdy models can be tipped over when bumped by pets or people. Additionally, wobbly models can splash water and spill food everywhere while the cat is climbing for a snack. Worse yet, heavy cats may make some designs top heavy. This poses a risk to the cat while eating and drinking, as we for anyone near the feeding station when it falls. 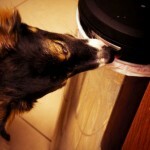 When it comes to dog proof cat feeding stations, stability is key. Before purchasing online models, be sure that the dog proof cat feeding station is stable, in addition to having positive reviews. Be sure that the online shop accepts returns as well, just in case. vince what about a simple combined dog and car feeding station?i have an idea in mind. Hi Stewart and thanks for the comment. I have not personally tried a combined dog and cat feeding station. To be truthful, I never thought about them. I will do little research and if I end up getting one, I will be sure to add a small review here.